We hope you’ll join us at Nona Blue soon. We’re a perfect place to watch the game, hang with friends, dine with family or celebrate something special. We’re rooted, not rustic. Modern, not stuffy. We’re your new hang with old school roots. Nona Blue Modern Tavern is more than a restaurant and bar. It’s a place that brings people together, creates social moments and reflects its community. This was the vision for Nona Blue from the very beginning. 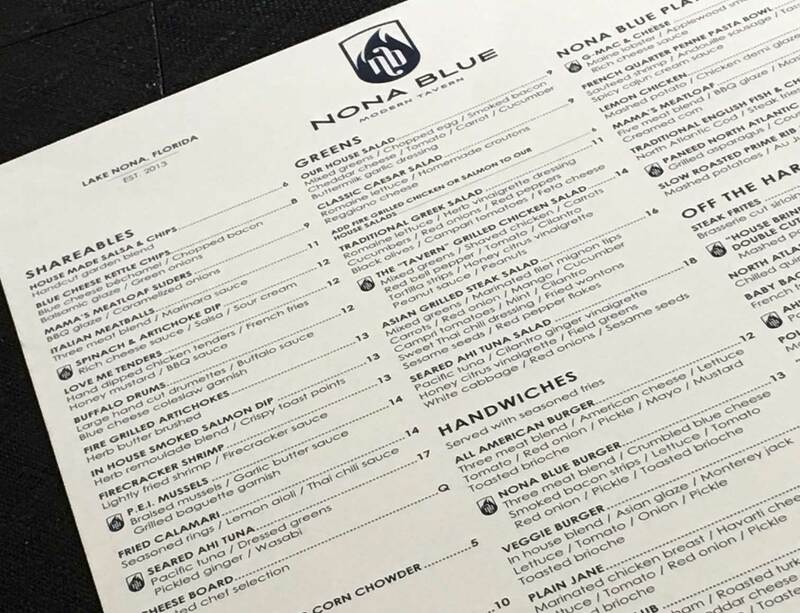 When Founding Partners and veteran restauranteurs Joe Davi and Bill Bona came together to create the Nona Blue concept, they envisioned blending the warmth and social atmosphere of a tavern with the polish and quality of a high-end casual restaurant. This concept was born out of their respective experiences. Davi made his career in the high-end casual segment serving as a General Manager for Houston’s/Hillstone for seven years before serving as a Regional Director of J. Alexander’s for eleven years. Meanwhile, Bona enjoyed great success running a family owned and operated tavern for over a decade. 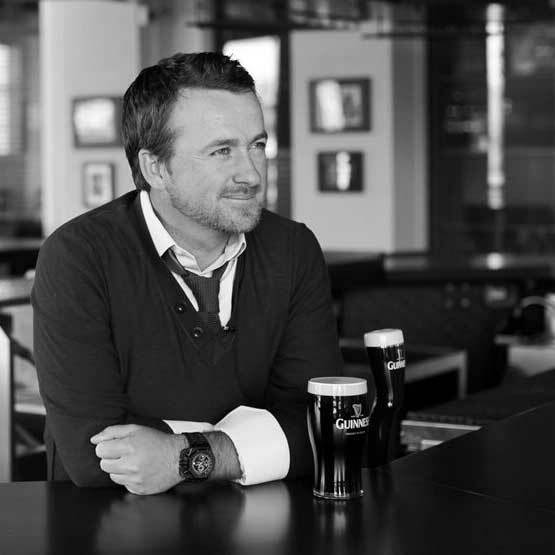 In 2011, Davi and Bona were introduced to the 2010 U.S. Open Champion Graeme McDowell, who had a lifelong interest in the restaurant business. Davi & Bona’s Modern Tavern idea resonated with McDowell, and he quickly jumped in to help further shape the concept into what Nona Blue is today. In fact, the restaurant was named during an interaction between Davi, Bona and McDowell during the 2012 Tavistock Cup. On the last day of the tournament, McDowell made par on 18 to lead the Lake Nona team to victory. All the Lake Nona players rushed the green. During the celebration, McDowell saw Bona and Davi and yelled “Go Blue!”—the Lake Nona team’s color. At that moment, Bill replied back “Nona Blue!” With that said, the trio officially had a name for their Modern Tavern. One key component of the Nona Blue concept was to offer a large selection of “Shareables” on the menu. These items could be shared amongst the group or serve as a meal for a single guest. This “community dining” helped to further foster the idea of creating a social dining experience. That’s also why the menu is so diverse at Nona Blue. You can bring just about anyone to Nona Blue, and they’ll find something they love on the menu. The team believes strongly in the idea that “freshness and flavor go hand in hand.” Embracing that idea, our team goes to great lengths to ensure our ingredients are always fresh (not delivered frozen) and of the highest quality. Mussels are from Prince Edward Island. Tuna comes from the Hawaiian Islands. Scallops are from the Northeast. The bar, which is the centerpiece of Nona Blue, features 16 craft beers (including a perfectly poured pint of Guinness), an extensive wine list (by the glass and bottle) and “Out of the Blue” specialty drinks, which put a modern twist on classic cocktails.